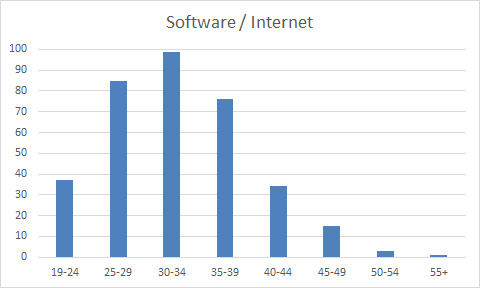 The age of founders of start-ups is a recurrent topic on this blog. You can just check it through hashtag #age. I have just updated my cap. 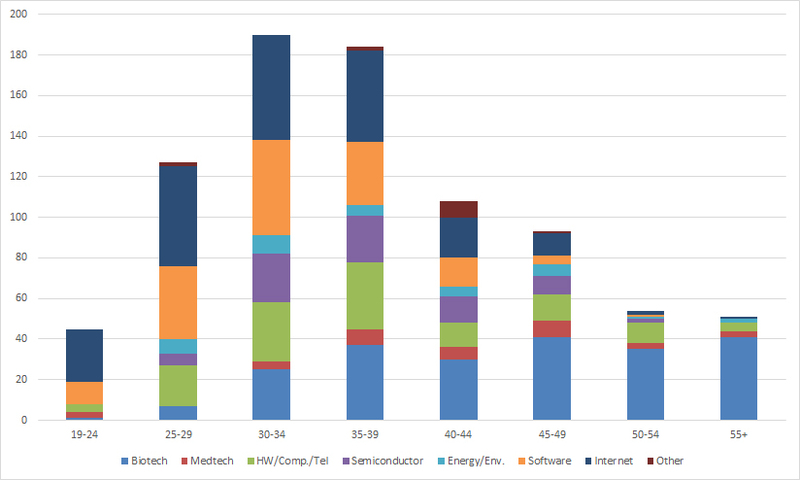 table database with now 500 “famous-enough” companies for which I have compiled a lot of data. You can check here the most recent update with 450+ companies in mid 2018 – Some thoughts about European Tech. IPOs or a synthesis dated 2017 with 400 companies Equity in Startups. 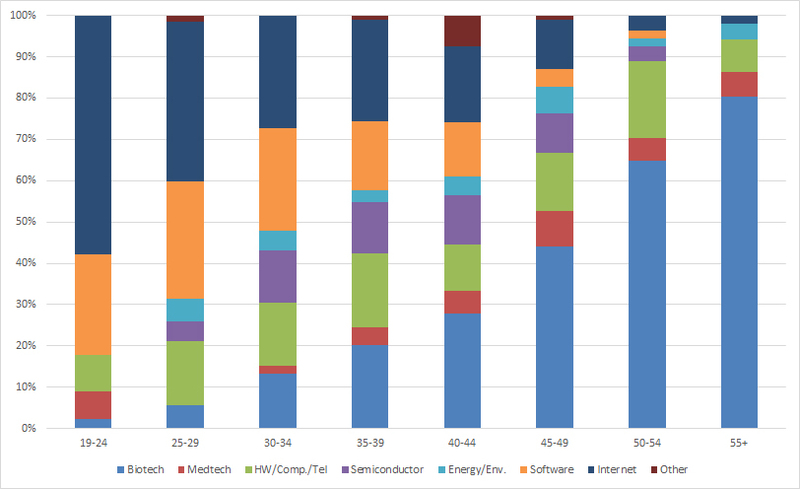 I just looked at the age of 850 founders from these 500 companies. I think it is interesting. I hope you will agree… I am not even sure I need to comment much. 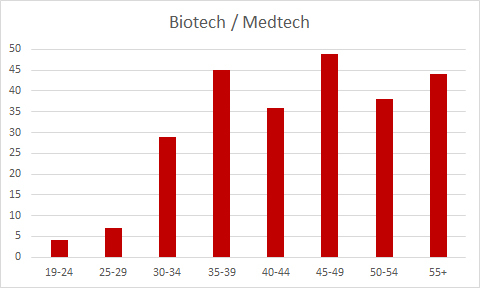 Average age is 37 overall, 45 in biotech, 37 in hardware (electronics, telecom and computers, energy) and 32 in software/internet. 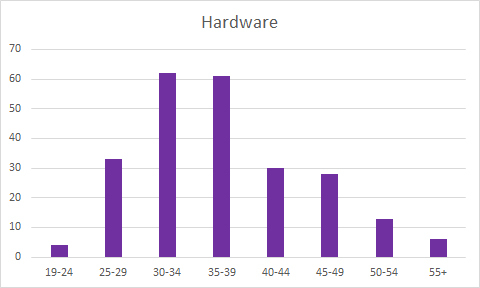 This entry was posted in Start-up data and tagged Age, Founder on April 10, 2019 by Hervé Lebret.